More than 1,000 extraordinary Americans share their stories and the wisdom they have gained on living, loving, and finding happiness. 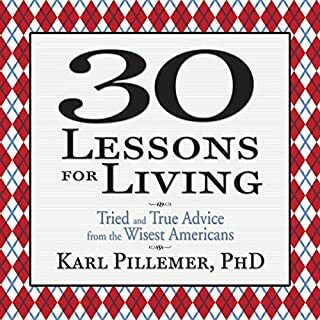 After a chance encounter with an extraordinary 90-year-old woman, renowned gerontologist Karl Pillemer began to wonder what older people know about life that the rest of us don't. His quest led him to interview more than one thousand Americans over the age of 65 to seek their counsel on all the big issues- children, marriage, money, career, aging. What scientific concept would improve everybody's cognitive toolkit? This is the question John Brockman, publisher of Edge.org, posed to the world's most influential thinkers. Their visionary answers flow from the frontiers of psychology, philosophy, economics, physics, sociology, and more. Surprising and enlightening, these insights will revolutionize the way you think about yourself and the world. Popular author Taylor Clark draws on cutting-edge research in this enlightening exploration of stress—and how to tackle it constructively. Using such divergent examples as Russian sub commanders and game show contestants, Clark shows that most people experience stress the same way. Those who understand how to accept it without freezing can accomplish what needs to get done. What makes good people do bad things? How can moral people be seduced to act immorally? Where is the line separating good from evil, and who is in danger of crossing it? Social psychologist Philip Zimbardo has the answers. He explains how - and the myriad reasons why - we are all susceptible to the lure of "the dark side". Drawing on examples from history as well as his own trailblazing research, Zimbardo details how situational forces and group dynamics can make monsters out of decent men and women. From terror attacks to the War on Terror, bursting real-estate bubbles to crystal meth epidemics, sexual predators to poisonous toys from China, our list of fears seems to be exploding. And yet, we are the safest and healthiest humans in history. Irrational fear is running amok, and often with tragic results. In the months after 9/11, when people decided to drive instead of fly - believing they were avoiding risk - road deaths rose by 1,595. Those lives were lost to fear. The Science of Fear is a disarmingly cheerful roundtrip shuttle to the new brain science, dissecting the fears that misguide and manipulate us every day. As award-winning journalist Daniel Gardner demonstrates, irrational fear springs from how humans miscalculate risks. Our hunter-gatherer brains evolved during the old Stone Age and struggle to make sense of a world utterly unlike the one that made them. Numbers, for instance, confuse us. Our "gut" tells us that even if there aren't "50,000 predators...on the Internet prowling for children," as a recent U.S. Attorney General claimed, then there must be an awful lot. And even if our "head" discovers that the number is baseless and no one actually knows the truth - there could be 100,000 or 500,000 - we are still more fearful simply because we heard the big number. And it is not only politicians and the media that traffic in fearmongering. Corporations fatten their bottom lines with fear. Interest groups expand their influence with fear. Officials boost their budgets with fear. With more information, warnings and scary stories coming at us every day from every direction, we are more prone than ever to needlessly worry. Dan Gardner is a columnist for the Ottawa Citizen newspaper with a different take on analyzing the risks that we face in the world today. He does a phenomenal job of breaking down various risks from toxic chemicals, terrorism, disease, kidnapping, ect. Mr. Gardner also does a great job outlining why we don't response to risk rationally and how this, in combination with media, politicians and other interest groups, makes people focus on the little obscure risks instead of the important ones that kill and injure people every day. 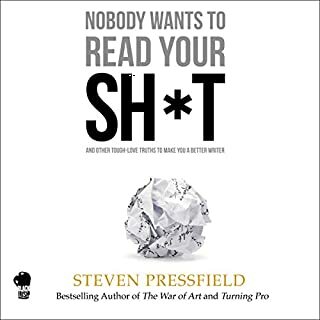 This book is useful for anyone living in the Western world but should be required living for anyone who spends their time listening to American media. The narrator, Scott Peterson also delivers an excellent reading of the story. All-in-all a great use of my credits. Anyone who consumes media should read this book. 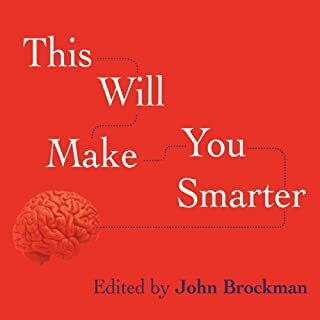 I've listened to this book twice, and then downloaded the Kindle version, because the information written herein is vital to processing the world around us. This book is full of mind-blowing stats and info that everyone should know. If we can learn to understand the world and not fear it, as well as take note of the things we should fear and respect but do not, we could all live better lives. This book really made me think about the decisions I made and why I made them. I didn't think too much about what my children watched on TV - now I understand the point of not exposing them to fearful scenarios. At the same time, I worry less about things happening to them - I consciously tell myself not to be driven by irrational fears and worries. 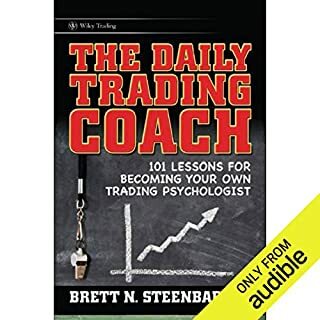 I have recommended this book to many people, and have bought it on paper as well so I can reread whenever I need a reminder. My reaction for most of the ideas presented was "How was I that stupid before?!". It is a great listen. if everyone would read and understand this book, the world would be so much better, not to mention your life. there are so many things in life where our priorities are backwards due to the media and government feeding us fearful garbage and we loose sight of what is important. if you are thinking about this book, dont think any more... just download it now! Yes, for the first half or so. The second half of the book rather deceptively and rapidly deteriorated into anecdotal, political and non-scientific conjecture that would be more suited to a book of another title and genre. For those interested in the real science of fear, start elsewhere. For those interested in the political and marketing exploitation of fear - this is a reasonably good book. But beware: for those not keenly interested in US politics (i am Australian and care only moderately about US politics); this book will bore you and even frustrate you in the second half. Would you recommend The Science of Fear to your friends? Why or why not? 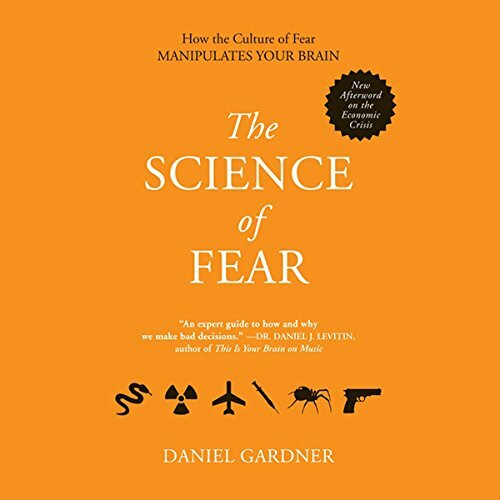 I would recommend this only to those not interested in the science behind fear but more in fear as a general topic. Because only a small portion of the book is devoted to real science. Much of it is political, speculative, and anecdotal while very lightly sprinkled with empirical research findings. By calling it the science of fear it borrows credibility from the scientific community to bolster and sustain its arguements. Although much of it was interesting, unfortunately the author de-railed his main thesis by letting his political and intuitive ideas dilute the little amount of science that was offered on the subject. If i was more interested in book heavily imbued with hyperbole and conjecture i would have purchased from the fictional shelf or at least had my eyes-wide-open about the source of the content coming more from the author than from the scientific community. What does Scott Peterson bring to the story that you wouldn’t experience if you just read the book? Personality, continuity, intonation and emphasis where appropriate. Do you think The Science of Fear needs a follow-up book? Why or why not? No, at least not from this author. Perhaps a more credible scientist who will not let gutt-feelings, intuition and personal bias interfere with his or her work would be more interesting and true to the title. This is the best book on the subject that I've came across. I liked both the theoretical explanations, and practical examples with recommendations. It is impartial, and also shows how the risks of the rare but emotionally significant events are overinflated and overused by media and politicians, and also how our own brains and "guts" mislead us in our daily life. I liked both the writing style, and the narration. I recommend it to everyone. The Science of Fear is really two books appended to each other. The first half is an excellent book on the psychological factors that cause fear, and how humans cannot calculate risk correctly. The second half is an excellent political diatribe about how the public has been deceived by both ends of the political spectrum -- with special mention for the Bush administration's clear intention to deceive. This second half should have been a second book called "The Politics of Fear". The author spends a lot of time showing numbers to compare statistics and sometimes repeats himself a lot. It's good to have the numbers but when you're listening to the book, it's hard to have a good view of the numbers in your head. That makes this book hard to go through all the way to the end. But be patience and keep going because besides the repeating numbers, all chapters have something to add. Everyone should read this book. Possibly you could find a couple other books that cover the subjects better but I don't know them and this has a lot to get you started. As noted by others, it's perhaps 2 books in 1. Gardner does a great job of presenting the recent about-face in our model or understanding about how we think. Our primitive, quick and emotional brain is in the driver's seat but is prone to many mistakes from biases no longer appropriate in the modern world. Our conscious and learned brain is reasoned but slow and lazy and loathe to override our hunches. The various vestigial biases from our prior evolution are very well explained in lay terms and this is the most valuable lesson I've learned from any book in many years. How our subconscious biases lead to mistakes in judgement and distortions of danger and risk are similarly well explained. How these biases led to (what I'll call) the mass hysteria over 9-11 and terrorism is then covered in perhaps excess. This leads to a 2nd way this book was so revolutionary to me, from the hub-bub over the initial terrorism to the Iraq invasion, I was aghast that media and the public were so uniformly enthralled and supportive of our government's efforts. As a physician, I see every day the effects of overeating, under-exercising and smoking. These lifestyle factors kill 100 times more per year in the US than the single terrorist event. Why was everyone ignoring these real threats to American prosperity/well-being and focusing on a remote and irrelevant threat of terrorism? Having read the book, now I know. Knowing how people make decisions has changed the way I practice medicine. e.g. : One bias you'll learn we have is, if a product or technology is perceived to have high benefit, it is automatically assigned low danger and vice versa. Specifically in my business, if a drug is thought to have high danger, it automatically is seen as having low benefit. And, once this danger/benefit level is assigned, it won't change. I no longer argue when my patients say they're afraid to try a drug I think may help them if they've seen the TV ad and are frightened. I'll just have to try something else. I won't convince a smoker to quit with facts and figures, they have to be scared. Seeing a picture of smoker's lungs at autopsy is worth more than a thousand words. To live well in the modern world, you must understand your caveman biases and how they lead to wrong decisions. Politicians and advertisers know them well and use them to trick you continuously. Unfortunately, one of our biases is that we don't see biases in ourselves. (We have poor metacognition despite what we think. Is that ironic?) So our biases must be explained to us in a non-offensive way (as soon as you hear something opposing your world-view, your likely to dismiss the rest). This book does an excellent job. I think it has taught me more than a year's worth of medical school. Would you listen to The Science of Fear again? Why? I would listen to the first half of this book again. the first half is full of ideas about why we choose to do weird things and put ourselves in danger. The second half is very repetitive and gives more and more examples of the same thing. My job is to work out why people get things wrong and put themselves in harms way for no real reason so I find texts like this very interesting. 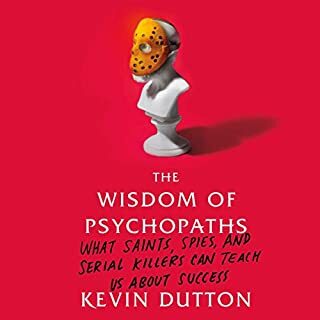 This book analyses some of the reasons why people put themselves in danger (often without realising it), which may seem an irrational response and explains why they have behaved the way they have behaved. 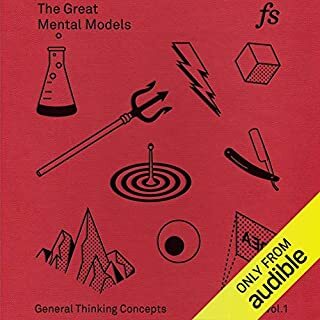 I would recommend this book, but probably short bursts are better than long sessions as the narrators voice I found a bit difficult to listen too at times.